ATOR: "Cork on Blender" the addon that has saved lives is available to everyone! Retrieval of low grade osteosarcoma with virtual planning of microsurgical reconstruction with fibula flaps. Credit: Bruno Aragão. "First do, then show"... this has been the mantra of our team. 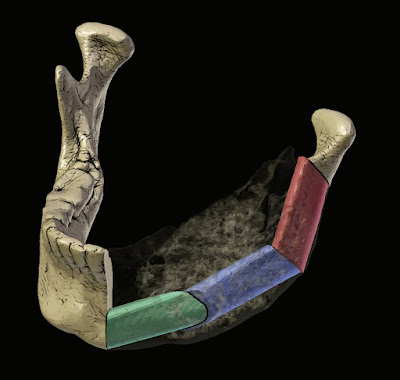 Since August 2014, three years ago, great challenges have arisen when I was contacted by Dr. Everton da Rosa to teach him 3D computer graphics techniques so that he could use them in his virtual orthognathic surgery plans. Orthognathic surgery is a technique that corrects facial deformities in adults. I myself would need this procedure, since my upper jaw is small and the mandible is projected. This makes me look not very pleasing to the eyes, but fortunately I breathe well and ... I'm married, what would be an accomplishment for an antisocial nerd ... imagine for a short, antisocial and ugly nerd! Joke aside, many people have serious problems as a result of these deformations, which often puts the lives of these individuals at risk. When planning a surgery digitally, specialists such as Dr. da Rosa have the opportunity to approach the procedure without the risk of causing harm to the patient, and when performing the task effectively, will be very well prepared, since he did the studies several times before surgery. 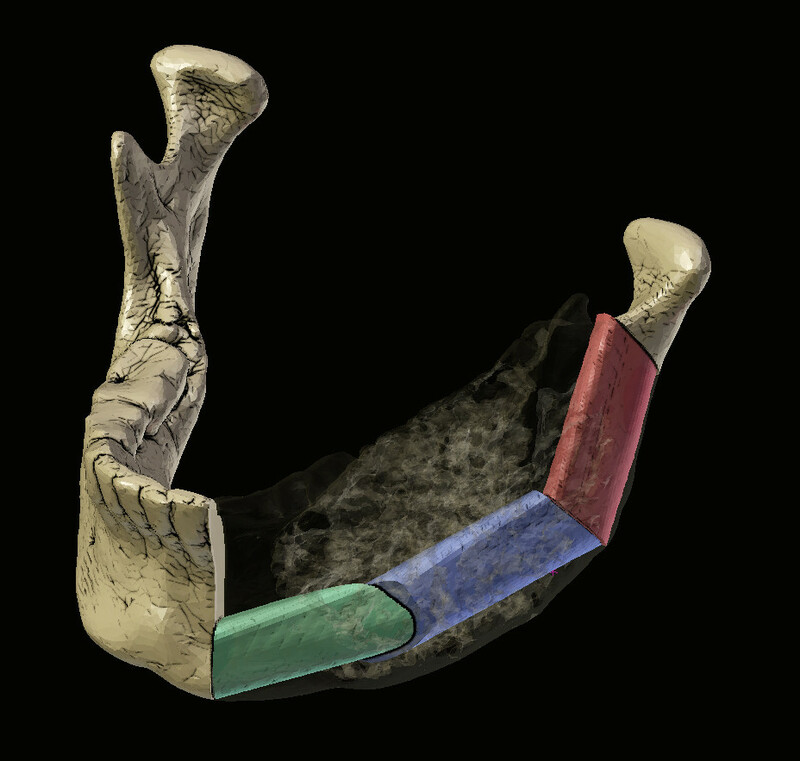 Orthognathic surgery planning with Blender and Cork. This whole digital process would work very well, if we did not have a problem on the way, this problem was Blender's native Boolean. It should be recognized that with each version the library of these calculations has become better, but when we speak of boolean for use in health sciences it presents problem at inopportune moments. To solve this problem, still in 2014, I looked for a classic exit for those (like me) working with Linux and free software: research a project that would allow the robust calculation of Boolean. I ended up finding it in the tool Cork, one of the great works of the developer Gilbert Bernstein. Examples of using Cork on Blender. 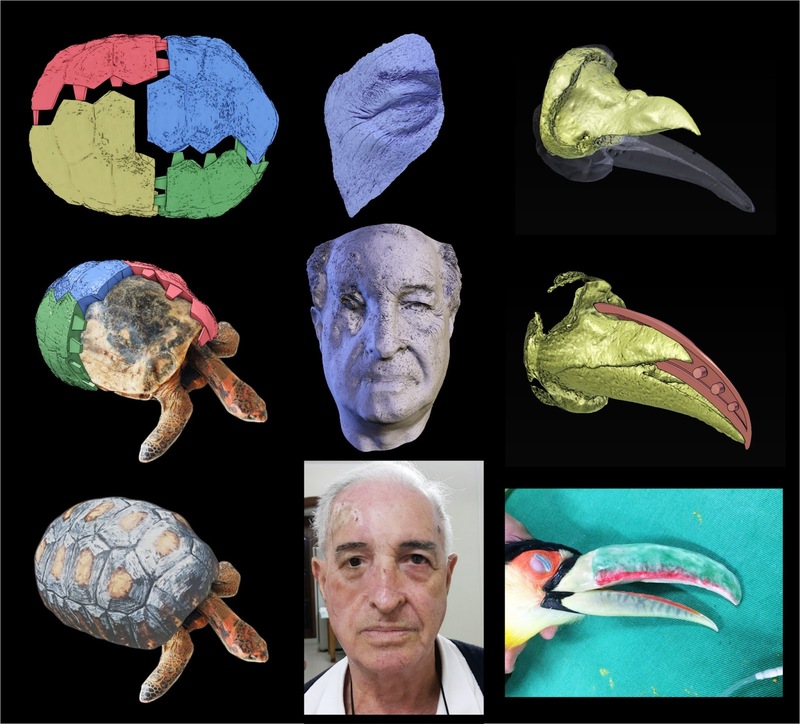 Left: Reconstructed hull of Freddy's turtle, in the center: facial prosthesis (Credits: Mais Identidade and UNIP) and left: prosthesis of a beak. I was delighted with the results and proceeded with the tests, although these depended on exporting the files for the calculations to be done externally. As the activity was not very practical, came into the picture the one who made use of Cork within our beloved Blender, the expert in Python Script Dalai Felinto. He masterfully created a code that turned a series of boring activities (export, command line, etc.) into a few grouped buttons on the upper left of 3D View. This was the trigger for a number of interesting projects. From that moment, we started to do the surgery plans almost completely within Blender. We imported the reconstructed (skin and bone) surfaces from tomography and performed the planning, now without suffering from the part of the osteotomy, the one in which we cut the bones. With Cork inside Blender, the osteotomy, which once drove us crazy, was now just another process, being performed not only efficiently but quickly. In the course of the planning, other projects have touched our daily life, from the maintenance of cultural heritage, to the making of facial prostheses for humans and in the field of Veterinary Medicine. Together with the Animal Avengers group and specialists from Italy, I created prostheses for no less than 11 animals! There were four toucans, an aracari, a dog, a goose, a crow, a turtle, a parrot, and a macaw. In addition to this area, I worked with Dr. Rodrigo Salazar with the manufacture of facial prostheses for cancer victims who had one eye removed. Over time, a lot of people started looking for our teams so we could provide training in all of these areas and we would naturally install the addon on the students' computers. In the face of the great demand and security provided by it, we finally decided to share this tool with everyone and today we have the honor to announce it available openly and for free! You can compile Cork or download one of the versions available for the three operating systems: Windows, MacOSX or Linux. I would like to thank all those who have helped us to develop this tool, either by learning to use it or by making ourselves available to be part of the research.